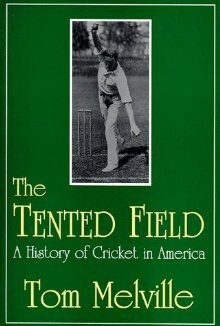 I’m finally reading Tom Melville’s classic, The Tented Field: A History of Cricket in America. My primary motivation is my natural curiosity, plus a need to be educated about cricket history. As I read, however, I’m finding important lessons in cricket’s 19th century demise that are instructive for those of us promoting the game in the 21st. In the 1800s, as today, cricket had competition from other American sports, primarily baseball. Cricket entered this “Battle of the Pastimes” with a number of advantages, not the least of which was the fact that it had a hundred year history in America, whereas its challengers had only really emerged in the early decades of the century. Cricket also had formalized rules, established organizations and traditional rivalries. It even had the benefit of providing the United States’ first international competitions. 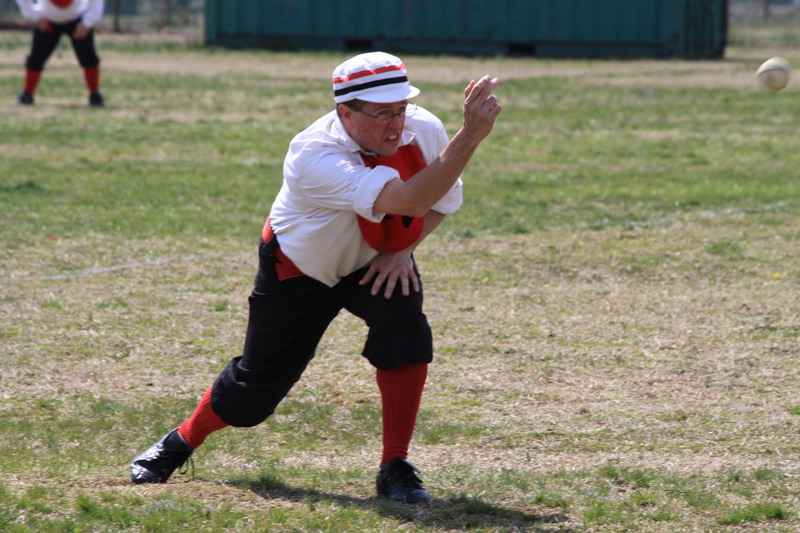 A pitcher playing by baseball's 1864 rules. Whereas cricket’s insistence on rigid adherence to its laws and recent competitive developments (such as overhand bowling) made it a difficult game for novices to enjoy, baseball’s flexible rules at the time (underhand pitching to promote balls being put in play, outs being given for catches on one bounce) encouraged new players to “give it a go.” Lesson: If you want universal adoption of your sport, make it easy for newbies to play and enjoy. 2011 Application: If we want novice Americans to adopt cricket, we must create forms of the game that allow them to play it (for fun and recreation) at little cost and with no training whatsoever. Another element that hurt cricket in the 19th century was its almost total dependence on expatriate Englishmen and some of their insistence on the maintaining of class distinctions. These issues tended to put off most Americans, some of whom came to regard cricket as antithetical to American identity. Baseball, by comparison, looked far more democratic and class-blind. Lesson: To the extent that cricket organizations appear to be open and welcoming to the community at large, these organizations will attract the interest and support of that community. 2011 Application: If our sport is to grow in America, cricket clubs, leagues, associations and governing bodies have an obligation to create an open and welcoming environment. Public relations, effective communications and a community-friendly image are all necessary if cricket is to succeed in America. So really, the question that faces us is the same one that faced the cricket establishment in 1848: “Do we want cricket to be “everyman’s” game, or the exclusive province of a select fraternity?” The way in which we choose to answer this question will ultimately determine which path we choose.